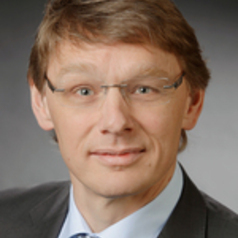 Prof. Bernhard Baune is Head of Psychiatry at the University of Adelaide. Prof Baune was appointed as Chair of Psychiatry at the University of Adelaide in Jan 2011. Previously he had headed Psychiatry and Psychiatric Neuroscience at James Cook University (JCU) between 2008 - 2010. He holds Fellowships with the Royal Australian and New Zealand College of Psychiatrists (FRANZCP) as a psychiatrist and with the German Medical Association as a Psychiatrist and Psychotherapist. In addition to his specialist training of 6 years duration, this researcher has earned a medical doctorate (3-years research programme) with highest distinction for which he was awarded the prize for best medical research at the University of Munster, Germany, 1997. Furthermore, Baune completed a 5-year higher post-doctoral research degree in Psychiatric Neuroscience with an emphasis on Neuroimmunology (Germany). Moreover, he received methodological research training in medical research with an emphasis on the Epidemiology of Neuropsychiatric Disorders at an international European level (University of Bielefeld, Germany; MPH passed with highest distinction).